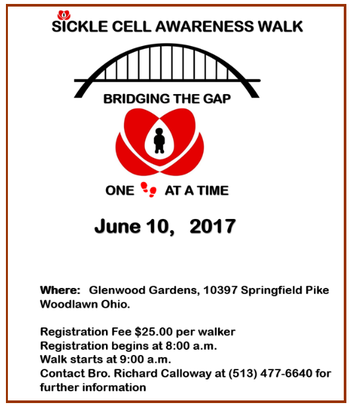 Click here to register or donate online. Click here to download directions to Winton Woods Kestrel Point Shelter. 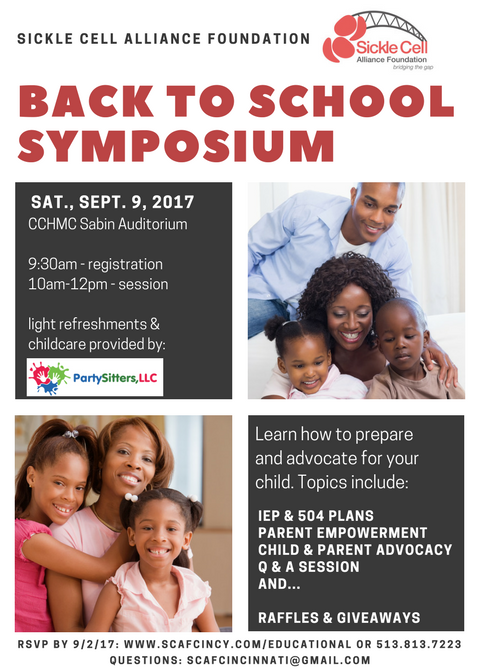 ​Click here to register online. RSVP required for all attendees. 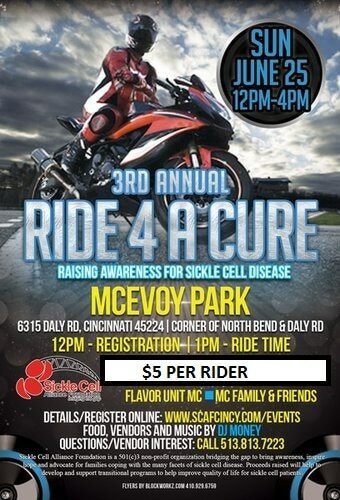 Click here to register and sign the motorcycle waiver online. 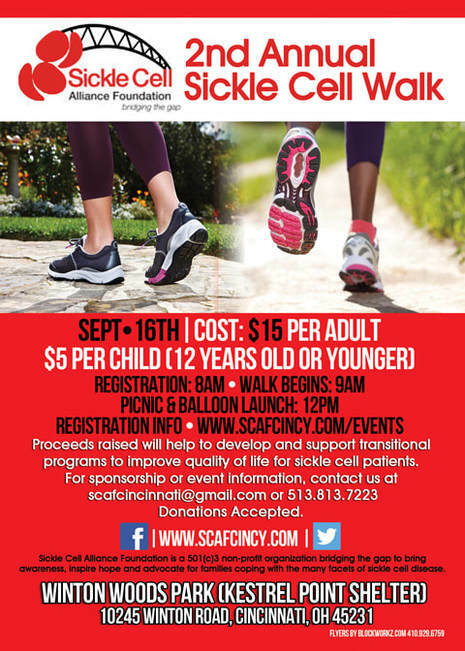 Proceeds from the walk will benefit the Sickle Cell Alliance Foundation.